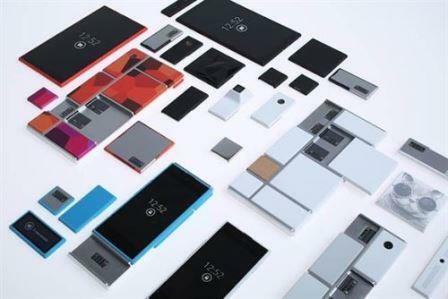 Motorola Announces Project Ara: Customizable Phone Modules, Motorola , owned by Google , has announced Ara Project , a platform of ‘hardware’ for any developer manufactures the modules of a phone and the users choose and build at will. This is possible thanks to the ” endoskeleton”, a framework that engage different parts of the phone, from a CPU to a new screen, another camera or a second battery , for example. We had seen a similar concept in the design of a designer named Morotola Phone-block and now has decided to make it happen . In this way , users could make their own phones as the manufacturers parts . The truth is that the devices Motorola conceptual images are much more stylized than the Phone-block . The resemblance between the two projects will not stay in mere anecdote . Over a year ago that Motorola is working on Ara Project and from now on will in collaboration with the founder of Phone-blocks , Dave Hakkens , to create a community of developers of parts and draw on the expertise of the start-up . In a few months will invite developers to start creating modules. To do so, shall make available to the Module Developer ‘s Kit (MDK), a first version of a development platform that will arrive in late 2013 or early 2014. “We want the hardware what Android has done for the software: create a vibrant developer ecosystem , lowering the barriers to enter it, increase the pace of innovation and substantially reduce the timeline for development” , published the company’s official blog . Also , Motorola is recruiting their ” Ara scouts ” volunteers willing to test this technology and provide information on how users behave like , similar to what Google did with Google Glass.